Lacrosse stars of tomorrow filled the Memorial Arena on Saturday for their first Jamboree. These eager young lacrosse players came from other cities to join the Kamloops players for a day of fun and activities at the Mini-Tyke/Tyke Lacrosse Jamboree. 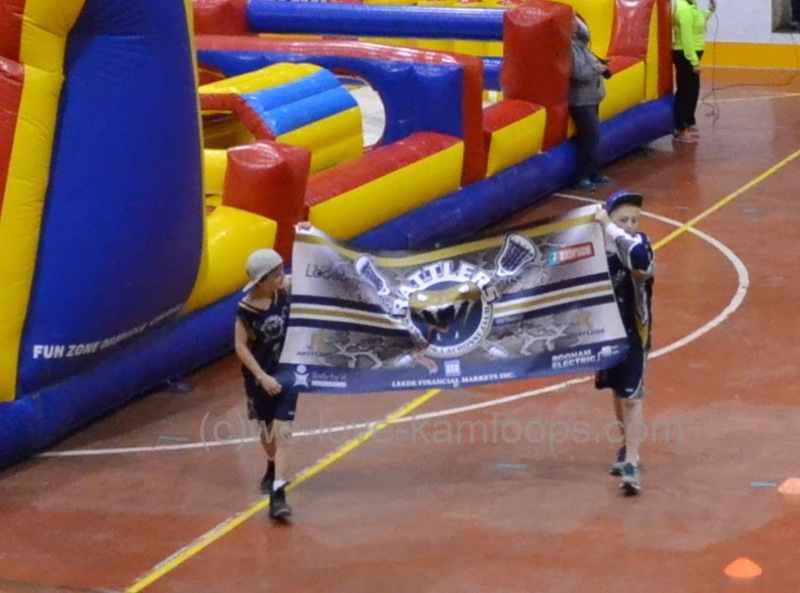 The banner was carried in for the opening by members of the Peewee A1 Rattlers team who were joined by their teammates to also help out with activities throughout the Jamboree. Teams from Kelowna, Nicola Valley, North Okanagan and Penticton all joined the Kamloops teams for a total of 97 Mini-Tykes and Tykes to file in for their Jamboree opening and begin their day to practice their skills and have some fun. The Mini-Tykes are aged 5 and 6 and the Tykes are 7 and 8 years old and are part of the fastest growing sport in North America. Their enthusiasm to learn this sport shows why that is the case and being one of Canada’s oldest organized sports, it is great to see. Each team came forward showing their team spirit and gave their cheer. These little guys all felt the excitement of the event and were game to do some lacrosse activities. 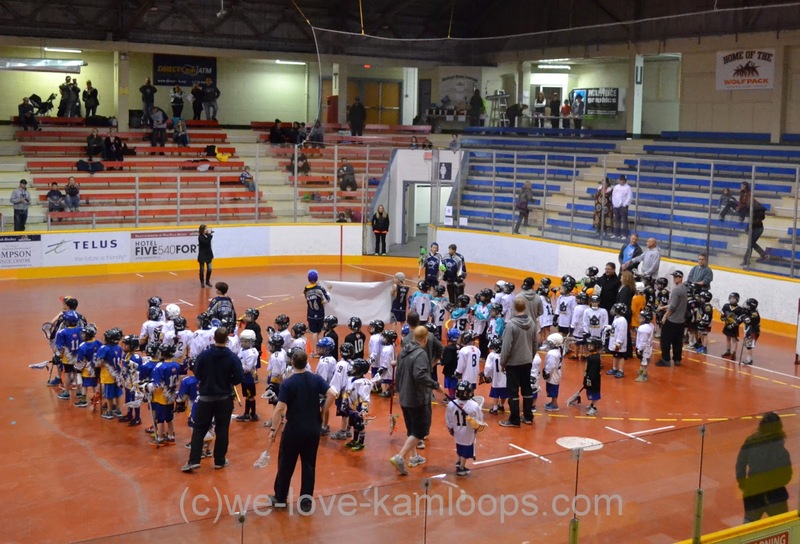 Members of the Kamloops Venom Jr. B Lacrosse in green jerseys, who later won their home opener over Vernon in a game in this same arena, joined the coaches and volunteers to help the Tykes with their drills. 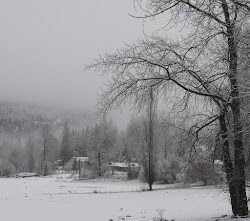 To see more on The Kamloops Venom, click here. This little Mini-Tyke was getting into the drills and determined to get that ball into the net. 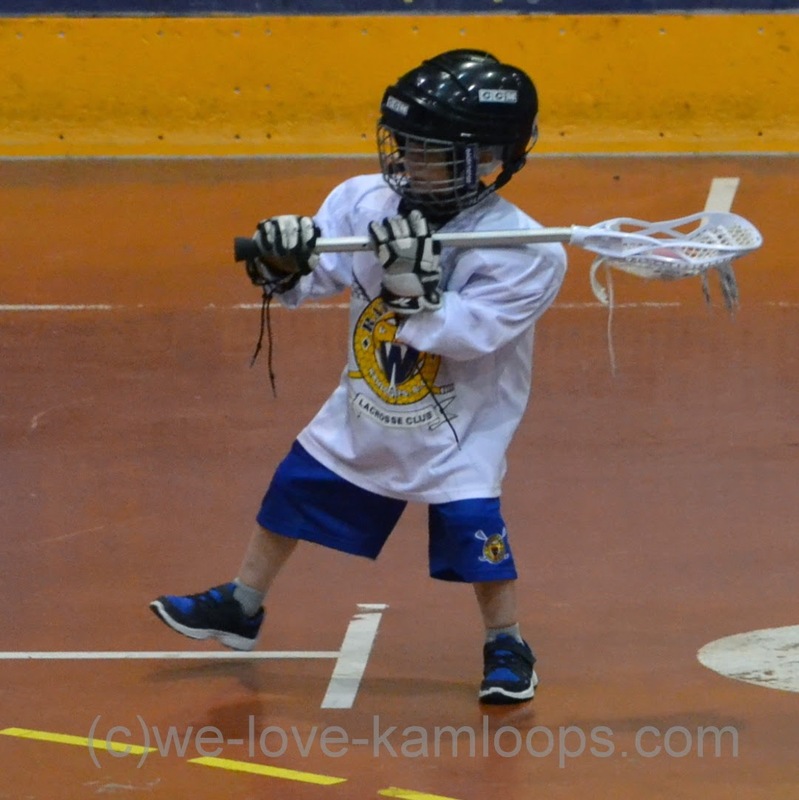 The game of lacrosse is making its’ way down to the younger ones and as a 4 year old, this little fellow is going to play the game his big brother plays so well as part of the Peewee A1 Rattlers. 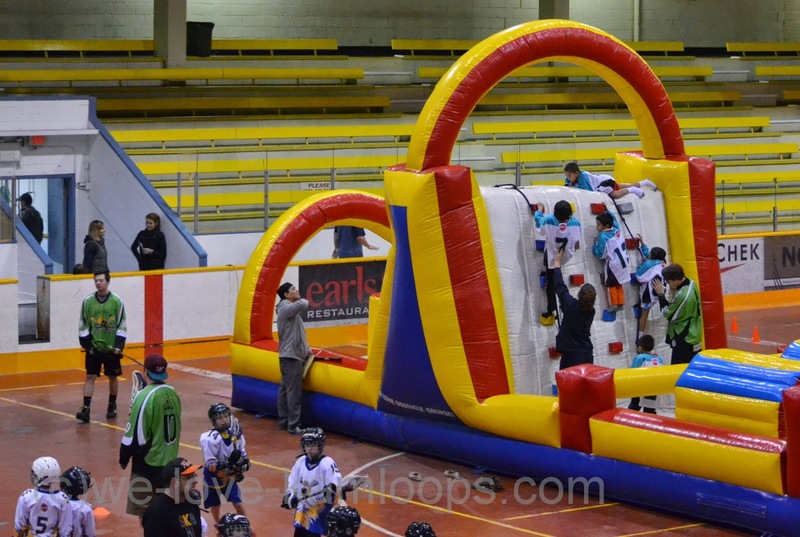 The teams would rotate doing different drills at each location on the floor, including the bouncy obstacle course that was a big challenge for some. Most of them were up for that, though. They enjoyed lots of fun with lots of energy to spare. 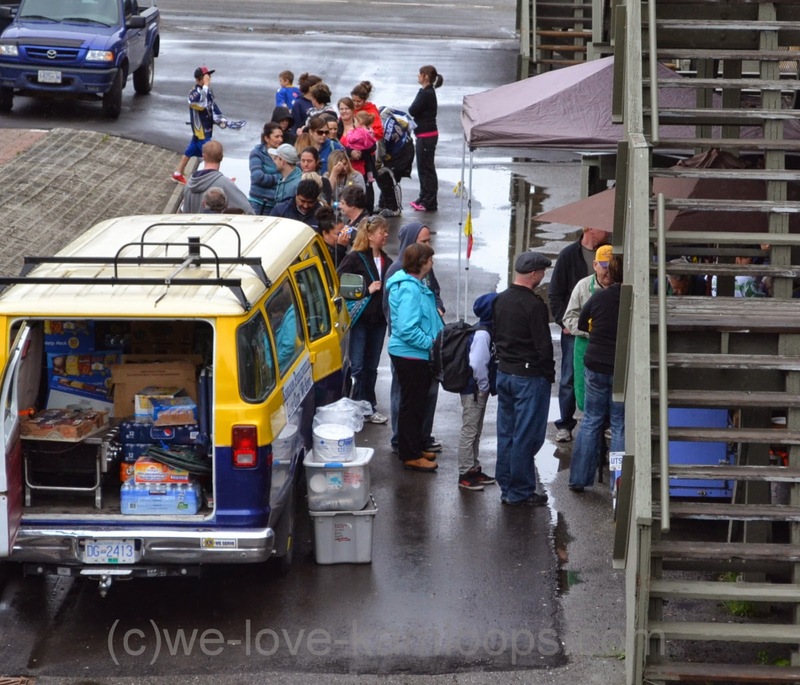 The Lions Club had hamburgers and hot dogs ready for the Jamboree lunchtime so between lacrosse drills and playtime, the teams made their way out to enjoy their lunch before getting back to the fun. There were several volunteers who made this Jamboree happen including Lianne, Sean, Neil and Michelle. 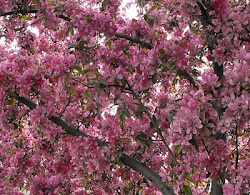 The coaches and parents who also spend their time at the practices and rinks so the kids can enjoy a healthy activity like lacrosse volunteered their services as did the older lacrosse teams involved. 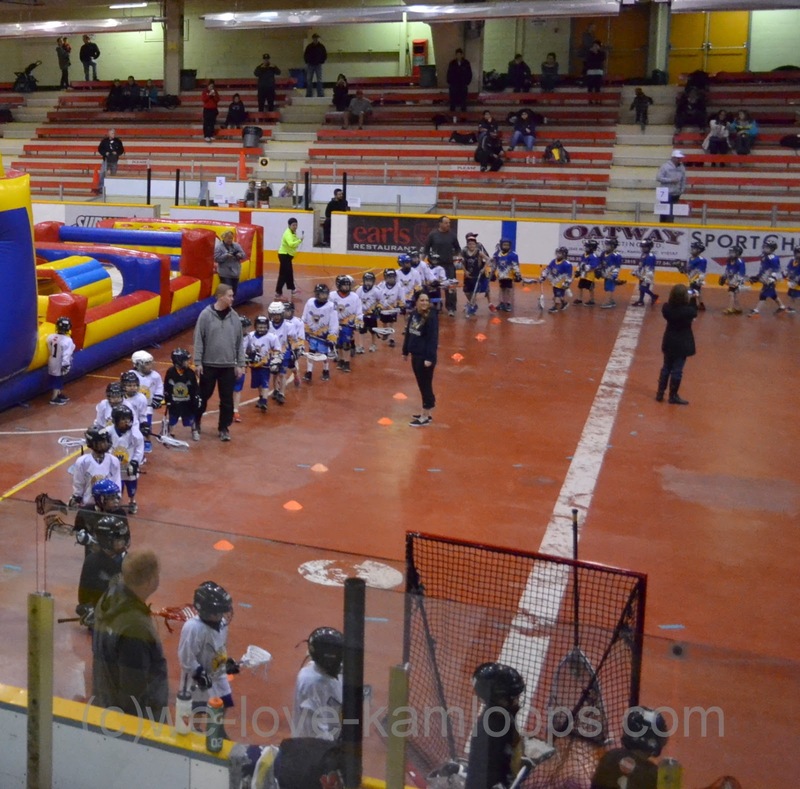 The Thompson Okanagan Minor Box Lacrosse Commission (TOMBLC) whose mission is to promote the game of lacrosse sponsored this open free event for the Mini-Tykes and Tykes with work done by many volunteers. Well done, Kamloops, especially for those who have shown their spirit for the game of lacrosse. These little winners show promise of future stars who will join the ranks of lacrosse players who have gone before them and all is thanks to their parents, coaches and volunteers. I am sure they will not soon forget this Jamboree. 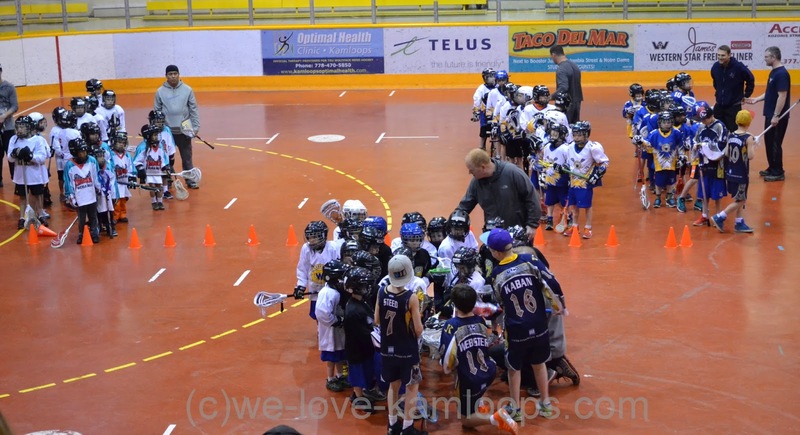 For more information for any levels of Kamloops lacrosse, click here.